Under my role as Creative Director and Head of UX at iPlay, I was responsible for delivering personalized gaming experiences that engage, excite, and entertain millions of dedicated game players worldwide. 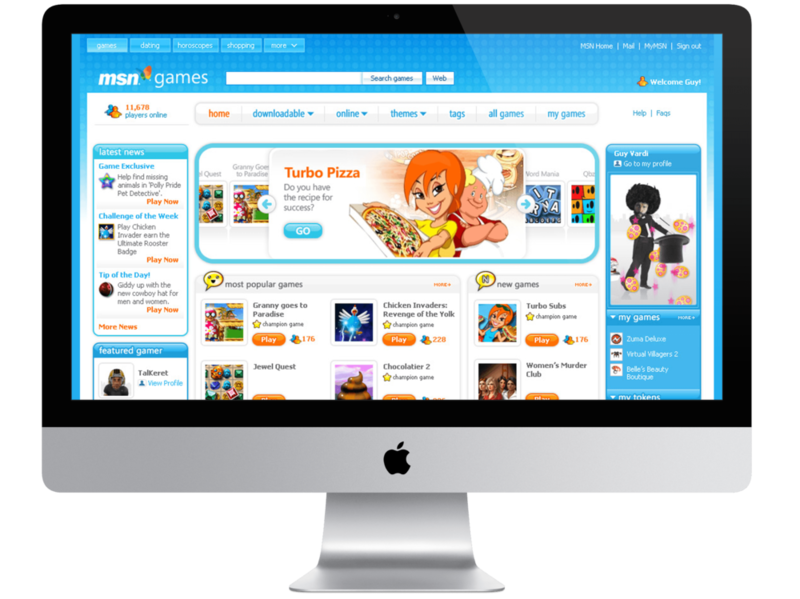 In addition to Iplay-branded game sites, we also powered game centers for some of the world’s most recognized brands including Yahoo! Games, MSN Games, Orange (France Telecom), AT&T, Virgin, and more.